Vertrouwelijke data verzenden over het Internet! Wanneer je gevoelige data over het internet verstuurt, is het verstandig om deze eerst te versleutelen. Maar hoe gaat het bij de ontvanger? De ontvanger heeft daar misschien wel helemaal geen behoefte aan, heeft geen zin om bepaalde software te moeten kopen en te leren kennen, alleen om het bestand weer te kunnen ontsleutelen. Geen probleem als je Silver Key gebruikt. Rechtsklik op het bestand of map die je wilt versturen en selecteer de "Create EXE Parcel" optie. Silver Key comprimeert en versleutelt je data en voegt er een klein decryptor programma aan toe. De ontvanger van de data hoeft geen programma te installeren om te decrypten, het pakketje bevat alle benodigde software software. Indien nodig en gewenst, kun je met de Silver Key Parcel Designer ook meer geavanceerde encryptie-pakketten aanmaken. Je kunt versleuteling en ontsleuteling uitleg toevoegen, snelkoppelingen aanmaken op de doelcomputer, het open van een bestanden verzoeken na de bestandsontsleuteling en zelfs een de-installatiebestand toevoegen. Een EXE-parcel kan moeilijkheden hebben met het versturen via mail, omdat vele mail-programma's dit blokkeren. If you send the file encrypted with the decryptor all together make no sense. Anyone who "intercept" the file will read anyway. Trabanom, having a decryptor does not mean that you can decrypt. You need to know the password. If the decryptor is sent along, the recipient does not need to download and install the product, that's all. Trabanom, having a decryptor does not mean that you can decrypt. You need to know the password. If the decryptor is sent along, the recipient does not need to download and install the product, that's all. Whatever you're sending via snail mail, the envelope / package / parcel had better be of approved content, otherwise the mail service may not deliver it. Whatever you're sending by email, the communication had better be of the kind approved for transit, otherwise the email carrier may not deliver it. This software really is a bad, bad idea. Aside from the waste of money to be incurred by a purchaser who only afterwards discovers that gmail and other carriers will rightly block any email with an attachment with the potential to cause harm -- and nothing has greater potential than an .exe file -- there's also the fact that persuading anyone, friend or relative alike, into the habit of opening emailed executables (should such ever come through to them) is massively irresponsible. accomplishes the task with ease, and even if the recipient doesn't have the same software as you, 7z files can be read by the standard WinZip. 7-Zip has a retail price of $nothing and in all the years I've been using it, not once has an encrypted 7z file been obstructed by gmail or any other carrier. Silver Key Standard is $30 and not once has its developer come on here to explain why anyone would want to raise a red flag with an email service by attempting to send out an executable. Whatever you're sending via snail mail, the envelope / package / parcel had better be of approved content, otherwise the mail service may not deliver it. Whatever you're sending by email, the communication had better be of the kind approved for transit, otherwise the email carrier may not deliver it. This software really is a bad, bad idea. Aside from the waste of money to be incurred by a purchaser who only afterwards discovers that gmail and other carriers will rightly block any email with an attachment with the potential to cause harm -- and nothing has greater potential than an .exe file -- there's also the fact that persuading anyone, friend or relative alike, into the habit of opening emailed executables (should such ever come through to them) is massively irresponsible. 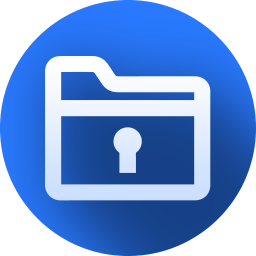 Best practice now as always is: if you've sensitive information to share with someone else, <b>zip it in encrypted form.</b> The file can be unzipped by the recipient using whatever password you've previously agreed in a phone call. Software by the Open Source 7 Zip -- <b>http://www.7-zip.org/</b> accomplishes the task with ease, and even if the recipient doesn't have the same software as you, 7z files can be read by the standard WinZip. 7-Zip has a retail price of $nothing and in all the years I've been using it, not once has an encrypted 7z file been obstructed by gmail or any other carrier. Silver Key Standard is $30 and not once has its developer come on here to explain why anyone would want to raise a red flag with an email service by attempting to send out an executable. Thanks GOTD, but no thanks. MikeR, as you quite rightly say there are problems sending .EXE files via email servers as they are treated at potentially harmful. The simple way round this is to simply change the file extension to something else (i.e. .DOC, .DLL) and then include a note in the email to rename the file to filename.exe. Works if file isn't too big as some services restrict the size of attachments, but if reasonably small it usually works. I've not downloaded today's software as I run my own secure server and have no use for this. Yes, most mail servers block attached executables, but Silver Key solves this problem. First, you can create a non-executable parcel, which never gets blocked. Second, you can send your executable parcel via Web storage. For example, right-click a file and select 'Create EXE Parcel and Upload to / Google Drive'. The program will encrypt and upload the encrypted file, and will return you a download link, which you can paste into your email. As a reply to #2 (Eriksson) and #3 (MikeR): Yes, most mail servers block attached executables, but Silver Key solves this problem. First, you can create a non-executable parcel, which never gets blocked. Second, you can send your executable parcel via Web storage. For example, right-click a file and select 'Create EXE Parcel and Upload to / Google Drive'. The program will encrypt and upload the encrypted file, and will return you a download link, which you can paste into your email. G-mail does not allow sending exe-files as attachmets. Is there any web--based mail that does? Eriksson, Simply rename the exe as exx or anything else which by prioe arrangement the recipient will rename back.